Think your cell phone bill is already too expensive? Then forget about using the new FaceTime-over-cellular feature that arrives in iOS 6. As reported by MacRumors, a new error message that popped up in the Beta 3 release of Apple’s upcoming mobile operating system revealed that iPhone users on AT&T must first contact the wireless provider before they can use the feature. This type of message only shows up when you have to pay for something. Additional charges for FaceTime over your 3G (or 4G, as the case may be) connection is anything but a surprise. For example, all major wireless providers charge extra for tethering a device, which allows users to surf the Web from their computer over their cellular network. The offering of a new, data-hungry feature like FaceTime video calls is a perfect opportunity for wireless providers like AT&T to squeeze a few more dollars out of their customers. 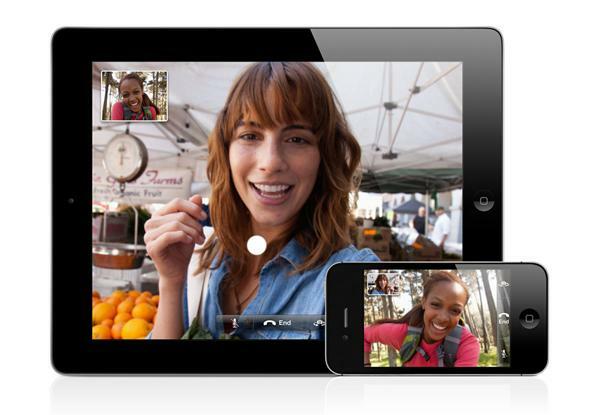 AT&T has not, however, confirmed that it will charge for FaceTime calls on its network. In a statement released to the press, AT&T said: “We’re working closely with Apple on the new developer build of iOS 6 and we’ll share more information with our customers as it becomes available.” Interpret that as you will. Neither Verizon nor Sprint, the other two wireless carriers that offer the iPhone, have yet instituted the same message into iOS 6. That’s not to say that they won’t — though avoiding such a fee could be a good way to lure customers away from AT&T — but there’s no evidence yet that they plan to. We have reached out to both companies and will update this space with their responses. Update 1: A Verizon spokeswoman tells us that, because the company generally doesn’t “comment on things before they are launched,” she does not “have anything to share” at the moment. We are still waiting to hear back from Sprint. Update 2: Sprint has confirmed with the Wall Street Journal (subscription required) that it will not charge extra for FaceTime calls. “We are committed to our unlimited data and that means not charging for data consumption based on the application,” said a Sprint spokeswoman. Regardless of whether any of these service providers charge specifically for FaceTime, you’ll be paying for the feature either way through the use of your allotted data. Back in 2010, 9to5Mac (via Gizmodo, due to broken link) used a jailbroken iPhone to test how much data a FaceTime call uses over a 3G network, and found that it eats up approximately 3MB of data per minute. If you have a 2GB data plan, then you can probably make FaceTime calls to your heart’s content. Less than that, and you should expect to go over your limit pretty quickly.